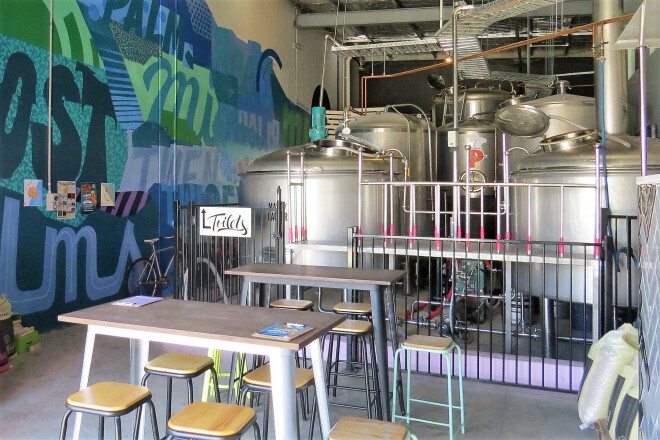 If you’re in the mood for some beer and booze in GC, Lost Palms Brewery is the place to go. 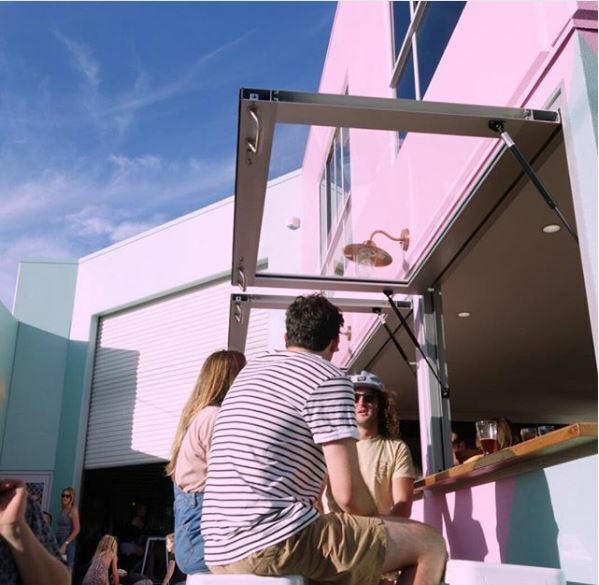 Since its launch in 2017, Lost Palms continues to be a crowd favourite in GC. 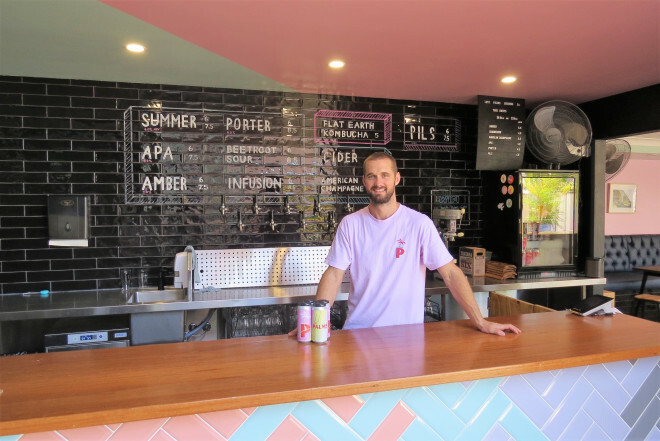 People love the fun and laidback venue, the staff’s friendly service, and of course, their beers! No wonder it’s one of the city’s best local breweries. 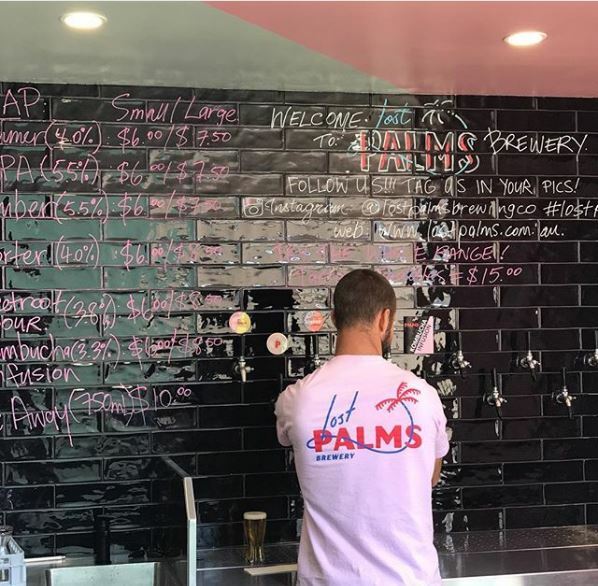 If you ask owners Jarrod Blanning and John Walz, the brewery’s success is not only in the beer’s taste but in the Lost Palm experience. They brew a bloody good beer and serve mouthwatering dishes in a taphouse/brewery that feels like home. It feels like you’re chilling in a house party, not in a pretentious bar or club in the city. 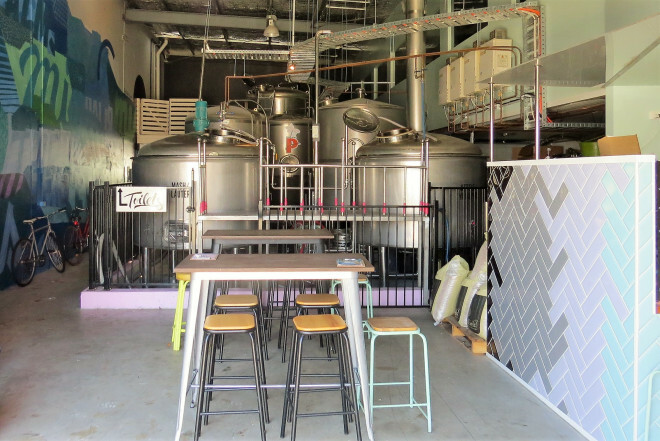 Blanning and Walz wanted to renovate an empty warehouse into a taphouse and brewery. They wanted the entire structure to feel homey. 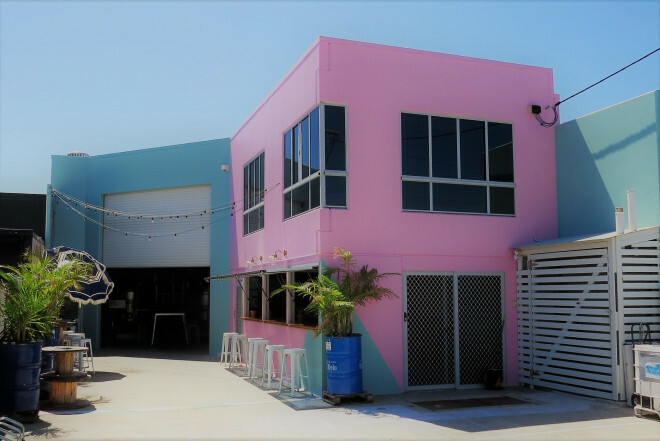 Superdraft architect Matthew Dean transformed the warehouse into a hip, aqua and pink pub that the neighbourhood loves. There’s a breakfast bar with windows that open upwards that you can enjoy on both sides. Designers put more seats and tables inside to accommodate a great number of customers. For a classic touch, designers used subway tiles to decorate the counter. 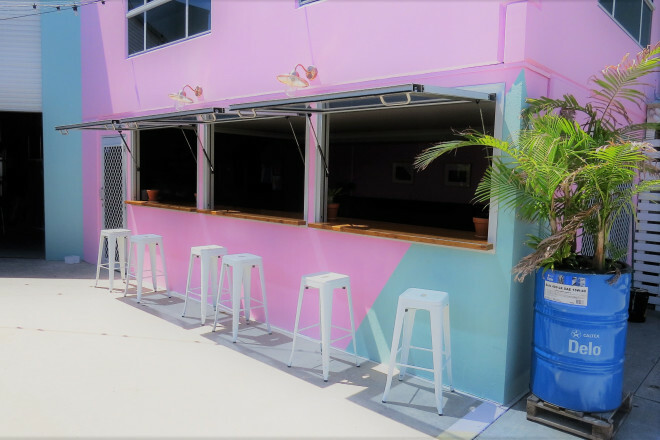 The team laid multicoloured, pastel tiles in a herringbone pattern to adorn the island. They used glossy black ones as splashback. We love that you can write on it using washable coloured markers. The owners currently use it to display their menu. 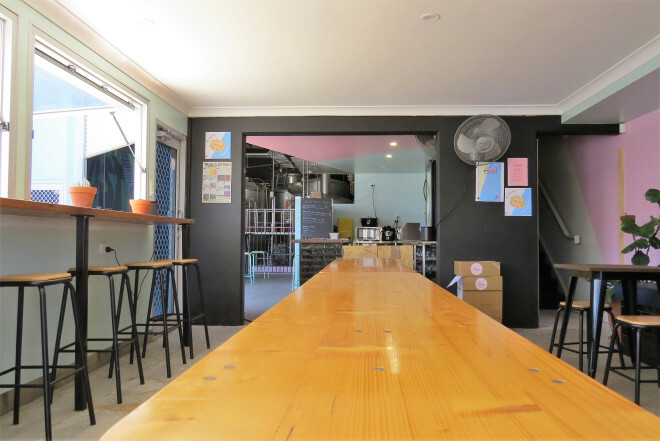 Located beside the bar is the brewery where they craft the house’s alcoholic beverages. There are more tables for the customers with a huge, instagrammable mural in the background. 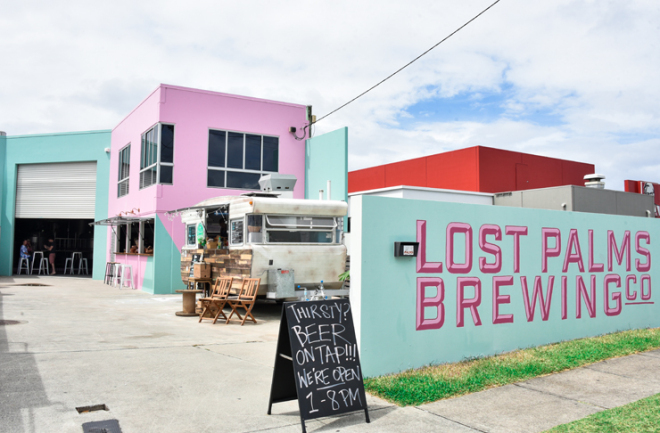 Visit The Lost Palms Brewing Co. at 11 Oak Ave, Miami, Queensland. Hire a design expert to design your dream cafe and restaurant.